Opening into Tokyo Bay, Port Yokohama has 10 major piers with 24 berths located at its core facility. With little influence from wind or waves, the port is never limited by natural conditions which allows for it to run efficiently all year long. Port Yokohama has been open since 1859 and has accumulated the latest technology and infrastructure during the 160 years the port has been servicing container ships. Through Port Yokohama, clients can transport cargo to and from every continent, including North and South America, Asia, Africa, and Europe. Port Yokohama used to be known for exporting raw silk and importing technology. However, in the present day, the port can import and export all cargo, including automobiles, construction equipment, commercial goods, and technological equipment. The port serves approximately 40,000 ships annually, with an annual tonnage of about 270,000,000. 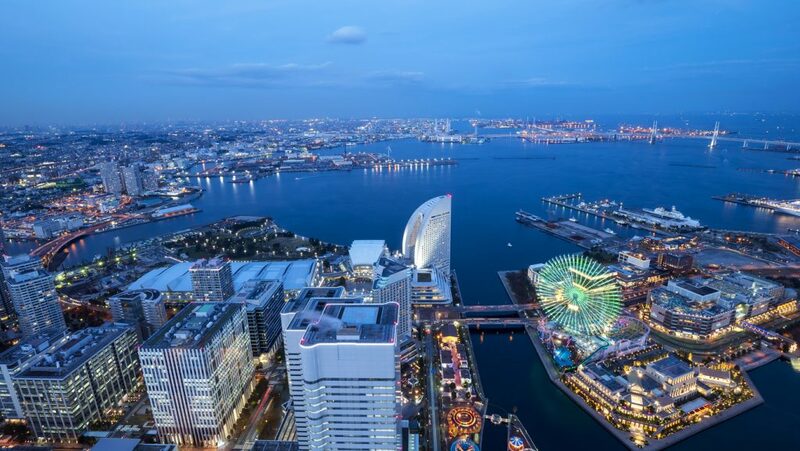 About 40 million people live around Port Yokohama, making the market surrounding the port huge and prosperous. In 2013, the pier Minami Honmuku of Yokohama was named the most productive container terminal in the world. For more information about the port of Yokohama and international shipping services to Japan, visit our rate request page to receive an international car, high heavy, construction equipment and container shipping quote or to receive more information on our international shipping services.